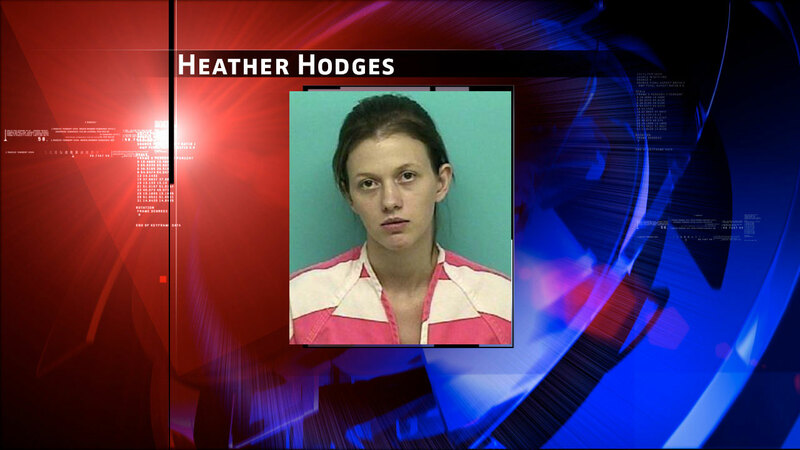 MAGNOLIA, TX -- A 28-year-old woman was sentenced Thursday to three years in prison for planting a pistol in a child's backpack and anonymously reporting him to his school. Heather Hodges, who pleaded guilty to unlawful carrying of a weapon on restricted premises in exchange for the dismissal of two lesser charges, was the live-in girlfriend of the boy's father but they had struggled as a blended family. Prosecutors said Hodges wanted to teach 13-year-old James Bailey McKeegan a lesson for what she considered to be the mistreatment of her own children, ages seven and four. So she took her boyfriend's 9-millimeter Smith and Wesson handgun, replaced the child's cologne and deodorant in his backpack, and then called Magnolia Junior High School from a nearby payphone to report him by name.